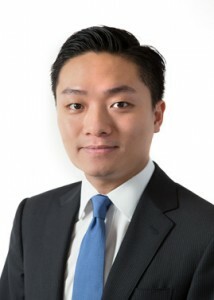 Alan Lo is a general practitioner in criminal and civil litigation. He is keen to develop a practice in all the core areas of Liberty Chambers' work and has particular interest in commercial crime, market misconduct and mutual legal assistance. He has previously delivered CPD/CPT talks for legal and finance professionals on SFC regulatory and enforcement issues. Alan has considerable experience in criminal work, including conducting and advising on criminal trials and appeals. He is also developing a practice in the areas of liquor licensing and regulatory matters; in particular, he has solid grounding in defending Labour Department, Environmental Protection Department, Electrical and Mechanical Services Department, and Highways Department prosecutions. In the areas of civil practice, Alan has a solid foundation in advising on personal injury cases. He also has broad interest in areas such as building and construction; constitutional law; commercial disputes; employment law; family law and judicial review.